It’s easy to add natural, shredded chicken & wild-caught mackerel to you cat’s diet. Serve as a high-protein side dish, kibble enhancer, or snack – your cats will absolutely love it. Fuel their inner-athlete! AVAILABLE IN 2.8 OZ POUCHES. MedalSeries Cat & Kitten Chicken & Mackerel in Broth Recipe are intended for intermittent or supplemental feeding only. This is a complementary food intended to be fed with a complete and balanced cat food diet. 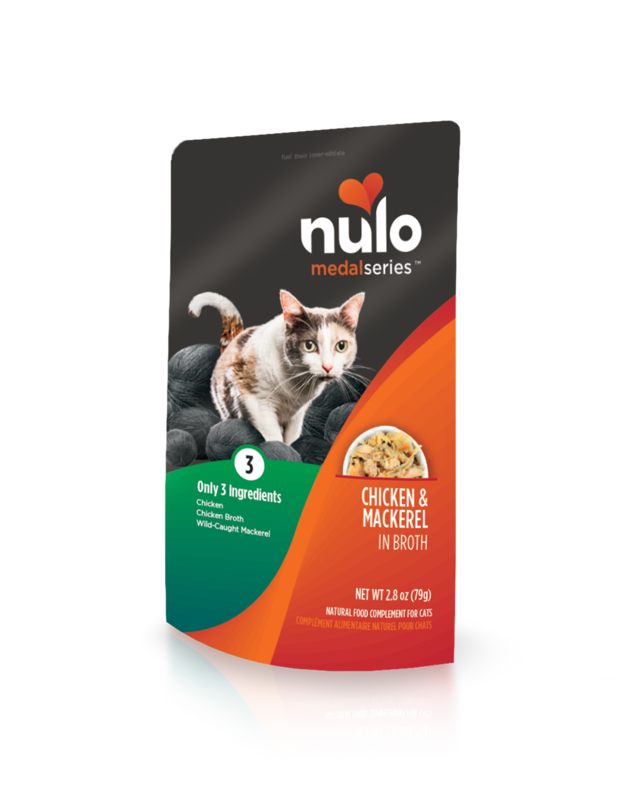 If you or your cat are not completely satisfied with your Nulo purchase, simply bring the unused portion, packaging and receipt back to the place of purchase for a full refund.